St. Louis has earned a reputation for academic leadership. Every year, early childhood educators from around the world visit St. Louis to study the state's acclaimed Parents as Teachers program, a model for supporting parents and delivering screening services to their preschool children. Exceptional public and private schools are located throughout the region. In St. Louis City, three schools were named Blue Ribbon Schools by the U.S. Department of Education. There are several excellent community colleges systems, two state universities, and several internationally acclaimed private universities. The city of St. Louis has the largest public education system in the state of Missouri. Public Schools are organized by geographic district and governed by local school boards composed of elected representatives. Supported by state and local taxes, they are free to children who reside in the district. Charter schools are public free and open to all children who reside in the district within which the schools are located. They are self-governing and curricula may focus on specific philosophies or industries. Magnet schools are public schools which focus on a specific academic discipline. To learn more about public schools in our area, click here. Independent Schools of St. Louis includes 38 independently governed elementary and secondary schools throughout the metro area. Each school undergoes a rigorous examination process every seven years to maintain accreditation. Most member schools belong to the Independent Schools Association of the Central States (ISACS) and the National Association of Independent Schools (NAIS). For a list of ISACS schools, visit IndependentSchools.org. The largest sector of private schools in the St. Louis metro are faith-based or Parochial schools. The Roman Catholic Archdiocese of St. Louis is the oldest and largest system of schools in the state, with about 51,000 students enrolled in 303 Roman Catholic elementary and high schools, including nine schools for students with special needs. St. Louis is also home to the world headquarters of the Lutheran Church-Missouri Synod, of which there are 77 schools in the metro area. Ten schools, including two high schools, offer core curriculum in Judaism. 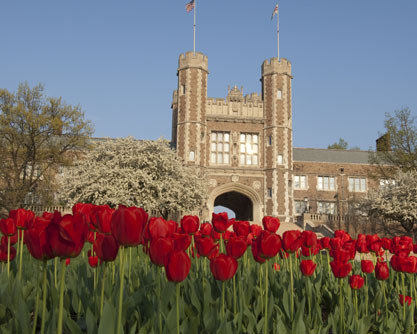 Washington University is a private, coeducational, research university, consisting of 7 graduate and undergraduate schools. The undergraduate school ranked 12th in the nation in 2007 U.S. News and World Report; Medical School ranked 4th, Architecture ranked 6th, and the George Warren Brown School of Social Work, ranked 2nd. The school boasts 22 Nobel laureates. Saint Louis University is a private, co-educational Catholic Jesuit university. It is the oldest university west of the Mississippi River and fourth largest Jesuit University in the U.S. The undergraduate program is currently ranked 82nd in the 2008 U.S. News and World Report rankings of "America's Best Colleges." Saint Louis University-School for Professional Studies offers courses for working professionals. The University of Missouri-St. Louis is one of four campuses in the University of Missouri System. Established in 1963, it is the newest campus and is the largest university by enrollment in the St. Louis area. Bachelor's, Master's, and doctoral programs are offered through the College of Arts and Sciences, the College of Business Administration, the College of Education, the College of Fine Arts and Communication, the College of Nursing, and the College of Optometry. Webster University is a private, international university comprised of 5 colleges and schools. Enrollment is 22,000 students, 5,000 students at the main campus in Webster Groves and 15,000 worldwide. The university is a center for the arts in the St. Louis region and is home to The Repertory Theatre of St. Louis and the Opera Theatre of Saint Louis. Fontbonne University is a co-ed liberal arts Catholic institution of approximately 2,700 students in Clayton, Missouri. Fontbonne is accredited by the Higher Learning Commission and is a member of the North Central Association of Colleges and Schools. Both undergraduate and Masters Degree programs are offered. Harris-Stowe State University, a public university is one of the oldest institutions of higher education in Missouri. It has a long tradition of teacher education and is also the only historically black university serving the needs of the metropolitan St. Louis community. Lindenwood University is a four-year liberal arts institution in St. Charles, Missouri. Lindenwood offers many undergraduate and graduate degrees, including a newly authorized Doctor of Education program that began in January 2007. Enrollment is 15,000 students. Maryville is a community-oriented, co-educational liberal arts institution with enrollment of 3,300 students graduate and undergraduate. In 1981, Maryville made history by launching Weekend College for working adults to complete degree programs on weekends. Missouri Baptist University is a coeducational university with an enrollment of 1010 undergraduates and 722 graduate students. It has a new 1000-seat fine arts facility, which has hosted numerous international music and performance arts events, as well as becoming renown for its acoustic environment. St. Louis College of Pharmacy is a private and independent nonsectarian college located in St. Louis' Central West End medical community. The College admits students directly from high school and integrates the liberal arts and sciences with a six-year professional curriculum leading to the Pharm.D (Doctor of Pharmacy) degree. Enrollment is 1000+ students, with incoming freshmen classes of approximately 250 students. St. Louis Community College is the Missouri two-year college supported by the Junior College District of St. Louis City - St. Louis County. There are four campuses: Florissant Valley (in Ferguson), Forest Park (in St. Louis), Meramec (in Kirkwood and Wildwood. In addition, there are four satellite facilities throughout the area. The college grants Associate of Arts and Associate of Applied Science degrees, as well as Certificates of Proficiency. Ranken Technical College is a private not-for-profit, 4-year college located in St. Louis, Missouri. It has 1,733 students.